Keeping your windows and doors closed during cold winter months significantly decreases the air quality inside your home. Though you may not realize it, this can present a potential danger to you and your family. Many allergens such as pet dander, pollen, and dust pollute low-quality air. It may also trap harmful outside contaminants in your home. Indoor air filtration is the only way to ensure your family’s respiratory safety. These units remove natural air pollutants such as dust and dander, and removing chemical pollutants like smoke or gas. We offer both duct-free and traditional ducted systems for your home’s ventilation and air purification needs. We are a residential heating and cooling contractor providing air filtration system installation. 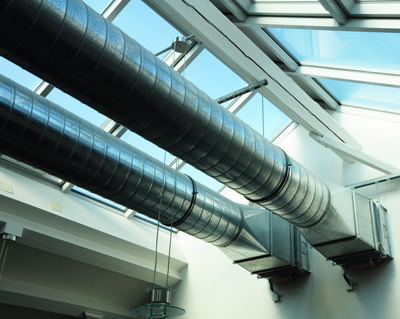 While ducted systems are less energy-efficient and use more square-footage, they’re unobtrusive and generally easy to install. Modern duct-free air ventilation systems take up significantly less space and pump air directly into the rooms of your home. Whether you choose a traditional ducted system or modern duct-free ventilation, All Points Heating has the expertise to install the perfect solution for your air ventilation needs. Heat pumps are extremely energy-efficient and can cut heating costs up to half by extracting hot or cool air from outside and sending it into your home. Working similarly to a refrigerator’s one-way pump, a heat pump doubles as an air conditioner and air filtration and air purification system. All Points Heating is a certified Carrier dealer committed to excellence, with 100% satisfaction guaranteed. In addition to installation and service of energy-efficient air filtration and heating and cooling units for your home, we also specialize in installation and service of fireplaces, stove systems, grills, home power generation systems, outdoor living concepts, and 24/7 repair & maintenance service.